This timeless checked suit jacket by Emporio Armani is the perfect addition to update your work wear. 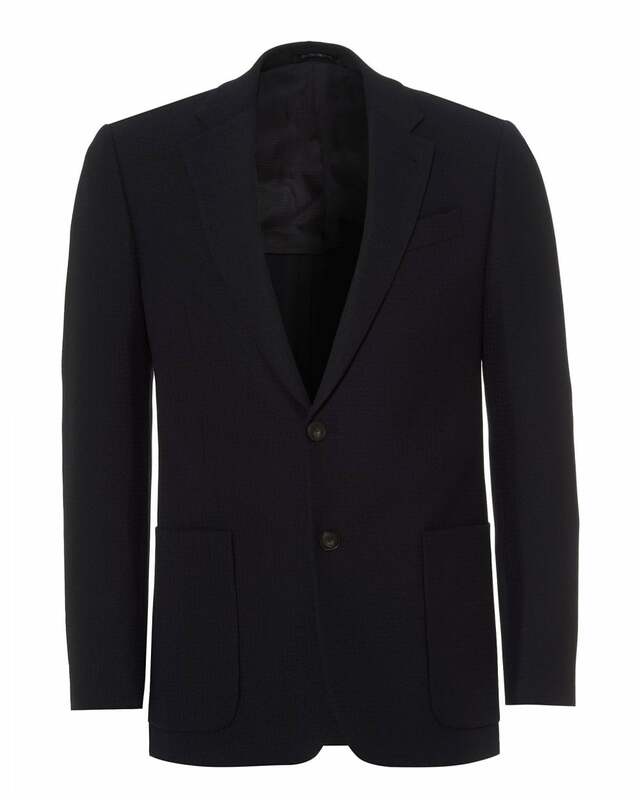 Featuring a classic notch lapel, elegant checked print on a high quality, navy blue wool blazer. Wear over a white BOSS shirt and trousers for complete tailoring.